Well actually Dancing is a Good thing & also considered a Health Benefit. Not only is Dancing an important and symbolic part of OUR African cultural, but it can help you stay physically fit! So while your NaeNaeing, doing the YEET or Turning Up just know this is one way you are not only having FUN but doing something Healthy for yourself!! 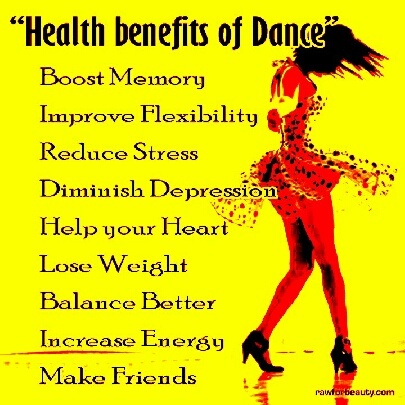 Check out some of the Health Benefits of Dancing below. Posted in Health TipsTagged Abundance, African, black, dreams, Eat Healthy, Education, goals, growth, happiness, happy, health, Healthy Be Healthy, inspirational, inspire, joy, knowledge, learn, learning, live, love, Motivate, motivational, Peace, positive, Prosperity, spiritual, Strong, success, teen, wealth, wisdom, wise, words, youthBookmark the permalink.